The straight bar dip is my favorite style of dip. 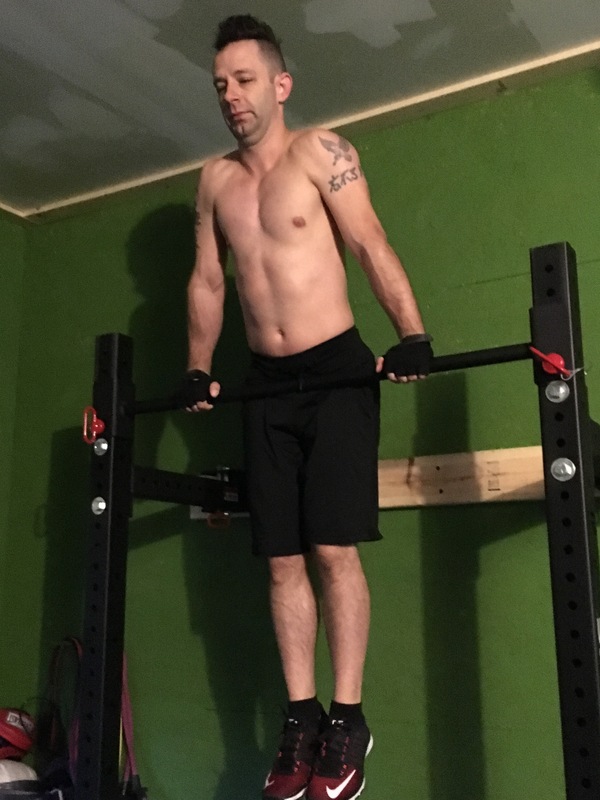 It is one of the most challenging and a prerequisite if you want to ever hit muscle ups. 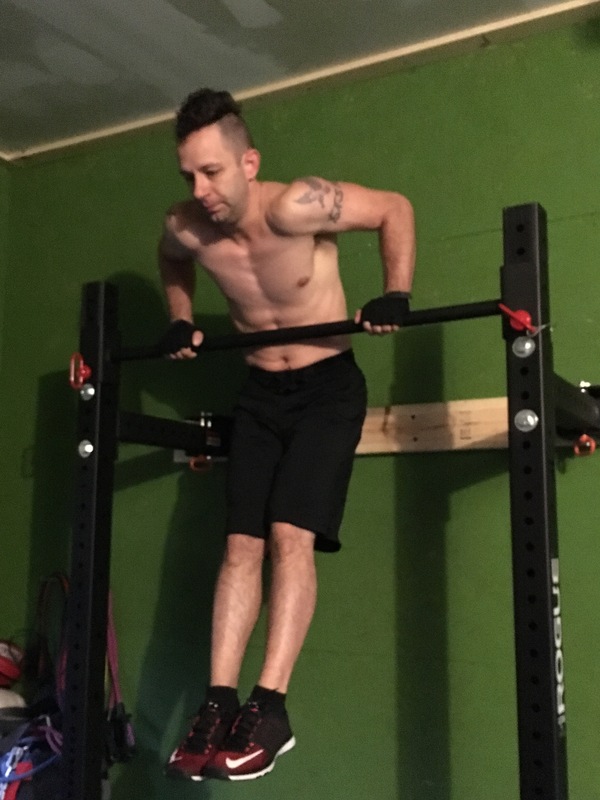 Before you attempt this dip you need to be able to knock out at least 10 parallel bar dips with great form. You want to start at the top of the bar with arms fully extended and shoulders down with your core engaged. Lower yourself down until your upper arms reach 90 degrees. It is ok if your legs swing under the bar as this will help stabilize your body. Just like parallel bar dips, elbows should go back not out. From the bottom, push yourself back up to complete the rep. This is a great way to build the triceps, shoulders and chest.